Going into a new year should always force you to stop and assess the highs and lows of your business during the previous twelve months. During 2016 I am sure you have celebrated the highs and worked out what you need to do to continue celebrating, but have you really paid attention to the lows? Your lows are what doesn’t work and what has had a negative effect on your business and its growth. Unfortunately, most Dental Offices do not pay enough attention to the lows. They are unaware and never make the changes needed. If you are paying attention and are fully aware of your lows and know why they have happened, then you can take action and turn your lows into highs. I have worked with a number of Dentists and their Teams this year, and I have seen all of them learn a lot about their businesses, especially about their lows. For whatever reason, most practices will need to hire someone at least once every year and for many practices it can be several times a year. I hear Dentists say that the person they hired is wrong and they are just not working out. It can be difficult to get the right people that match your practice but including some key questions at the interview stage can make a big difference in whether you hire the right person or not. Ask questions that tell you about the integrity of the person you are interviewing. Ask what they would do in different scenarios in their day at the practice. Be very clear about what the job involves and what you will expect. It is also worth looking at how you advertise for the position. Set your expectations about the job in the ad. You want to pre-qualify the people coming for the interview. I know of a few Dental Offices that include valued team members at the interview. This does make a lot of sense because these are the people who will be working with the newly hired person. 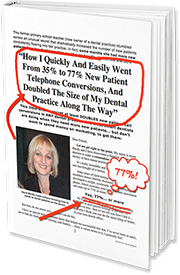 If you are measuring the results in your Dental Office, then that is great. If you are measuring your results and paying attention to your results, then that is excellent. If you are measuring your results, paying attention and taking action, then you are on fire. Many Practices do not measure and if they do, they are not doing anything with the results. Most of the time this is because they don’t know how to measure and look at the results and don’t seek advice to find out what they should be doing. If you are not measuring your results, then make 2017 your year to measure and analyse your numbers. Know how well your business is running and make the changes when you need to. If you have provided your team with some type of training this year then congratulations, you are one of only four per cent of Dentists who did so this year. Why do we hire people and then expect so much from them? We often hire people with little or no experience and off they go. Investing in your team is the single most important thing to do every year. Clinical, office and management skills need to be continually reinforced and developed with the team if you expect your team to perform at their very best. Providing training for your team is also a great compliment to pay them. They feel valued and important in your business. I know this because when I train teams they tell me this! I see the difference all the time between the Dental Office that has a highly trained team and one where the team has never had any training. The people working with you and for you are the people who are helping your business grow and giving your patients the care you expect. You want to value your team as much as you value your patients. If you are not providing your patients with the very best experience every time they come to see you then they will eventually end up going elsewhere. If you are providing your patients with great care and attention then look at ways to improve on this experience. 2017 can be the year to ramp up the patient experience and make it World Class. You want your patients to be telling others about how you care for them. Keep an eye on your business. You have invested time, money, blood sweat and tears into it. Otherwise it could be just like the shepherd who took his eye off his flock. Paying attention can make the difference between having a successful and thriving business and helping patients or one that closes down and then helps no one. It is happening a lot so watch your business every day. 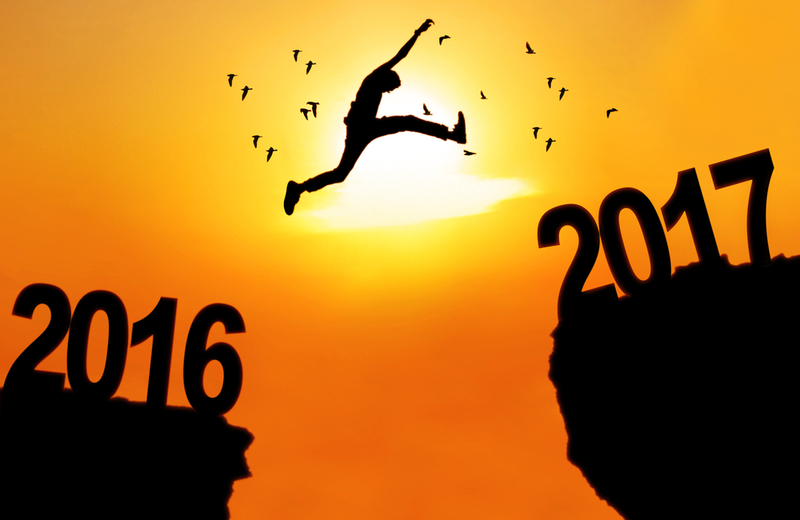 Learn from the lessons of 2016 and make it your mission to have the most amazing 2017. 2017 can be the year you make the changes to improve and grow your business. The year to make the difference!